On Sunday, July 1, 1990, Terry Schmidt and some friends had just finished eating at TGIF located at 6100 S. Memorial in Tulsa, OK. Upon returning to their vehicle they were approached by subjects in another vehicle. The subjects were going to rob Terry. 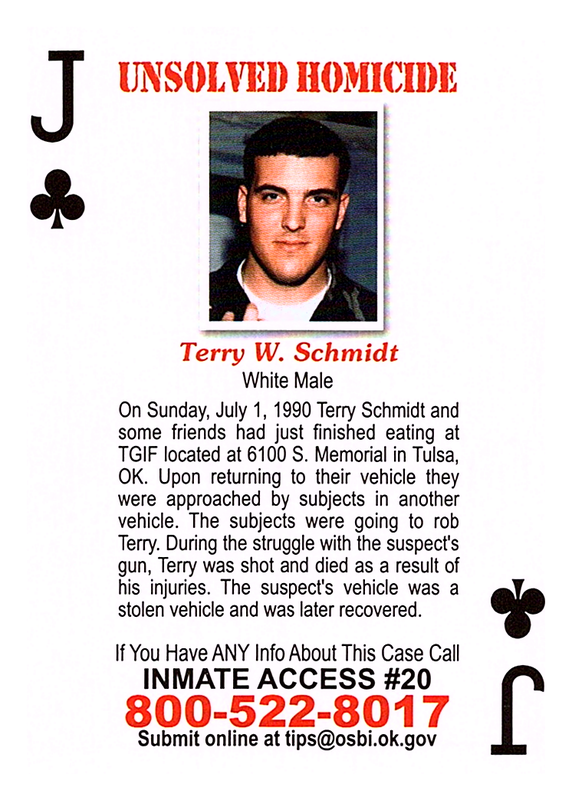 During the struggle with the suspects gun, Terry was shot and died as a result of his injuries. The suspect's vehicle was a stolen vehicle and was later recovered.